Add the warm quinoa to a large bowl. Toss in the lime zest, lime juice, salt and pepper, and chopped cilantro. Mix to combine.Serve the sliced chicken breast on top of the quinoa. 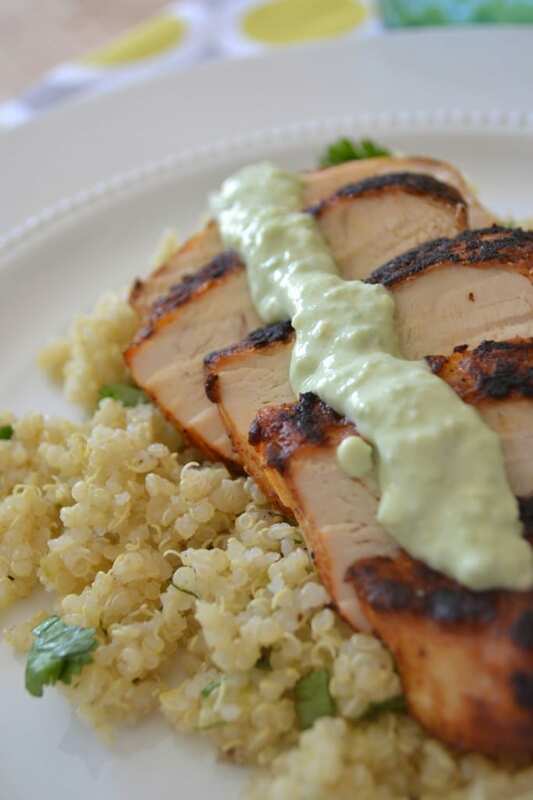 If you find the blackened seasoning too spicy, you can add a quick and easy avocado cream sauce to cool it down.Just place the flesh from an avocado along with two tablespoons of Greek yogurt in a food processor and puree until smooth.